Garrett's back for more masterful pilfering in Eidos' Thief reboot , and the team wants to honor the influence of the series' original trio by including some familiar tools. 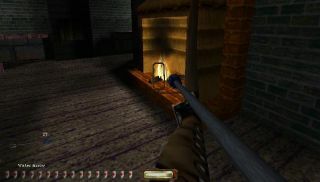 Perhaps the most recognizable of Garrett's arsenal are his Water Arrows, used to douse light sources from afar. I think they're one of the franchise's most recognizable items, and one of the best-known mechanics in stealth gaming. Here's why.